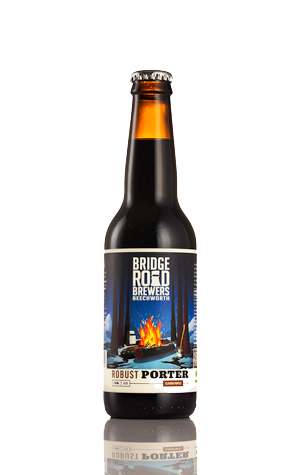 A delicious combination of mocha and chocolate flavours and aromas already made Bridge Road's Robust Porter a great beer for the colder months or as an accompaniment to sweet desserts: big without being heavy. A tweak to the recipe in 2016 just added more deliciousness. The brewers adopted some of the malt profile from the Dark Harvest originally created in collaboration with Mikkeller and added in oats and a dash of vanilla. This added smoothness helped the beer take out the Best In Show at the 2016 Sydney Royal Beer & Cider Awards. If you've got one to hand, the brewer recommends trying it with freshly shucked oysters.